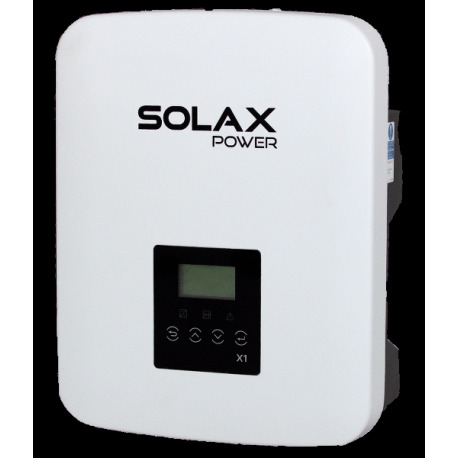 Buy your SolaX Power X1 Boost 3000 inverter at the lowest price - online only. This inverter is ideal for domestic self-consumption. This inverter manages your solar panel production in order not to inject the excess solar production into the grid. The SolaX Power inverter transmits your data for free to the Internet via Wifi. You can analyse its performance online. You can activate the electrical consumables of your home remotely depending on the solar panels' power production or according to a specific schedule. You don't have enough power? This inverter can take from the electrical grid without power limit. Turn yourself into a fully independent electricity producer. Quick start: The key advantage of the Solax X1 Boost 3000 inverter lies in its low voltage start up. As soon as the voltage starts, your inverter will transform energy to generate electricity. This means a considerable performance gain for your photovoltaic installation. WIFI Internet monitoring: You are not at home and you want to check that your solar panels are working properly? It's very easy using the Wifi Internet monitoring included in the Solax X1 Boost 3000. Data is transmitted for free onto Solax servers. You can see the real-time performance of your installation on the smartphone app. The ideal solution for assessing the efficiency of your solar panels and batteries. Wifi key is included with this inverter. Integrated consumables management: The X1 Boost 3000 by Solax is the first inverter ready for smart self-consumption management. This inverter comes with integrated output relay contacts. 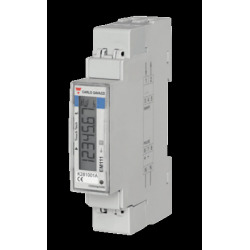 These relays allow you to activate your home’s consumables remotely depending on the solar panels' power production or according to a set schedule. This inverter optimizes your home's electrical consumption and activates the consumables. No need to be present: you can manage your home's self-consumption remotely. Excess solar power is not injected into the grid: The X1 Boost 3000 by Solax is a smart inverter that regulates your solar panels' voltage to fit your needs precisely. E.g. : You need 2000 W, your solar panels produce 2500 W. The inverter will regulate the voltage to exactly 2000 W. You don't inject any power into the electrical grid. It is now prohibited to inject the solar excess into the grid without a reselling contract.